Intel's seventh-generation Core processor was recently delivered to unspecified companies in sufficient quantities for manufacturing, however the first run of chips are not likely destined for Apple's MacBook Pro. Which Kaby Lake processors are shipping to manufacturers, and what class of products they are aimed at at this time are not yet known. Given previous Intel predictions on the matter, low-power chips more suitable for tablets will ship first, with more powerful chips expected to be used in MacBook Pro, iMac, and any potential Mac Pro revisions shipping at a much later date. During the investor's conference call, Intel's Chief Financial Officer Stacy Smith noted that while yields of the new processors in the first quarter were good, "they got a lot better in Q2 as well," which is what allowed the Kaby Lake processors to be released to manufacturers as close to Intel estimates for release as possible. Kaby Lake is Intel's next step following the sixth generation Skylake. The seventh generation of the chip uses the same 14nm process as Skylake, and adds native USB 3.1 Generation 2 support, bringing full 10 Gbps speeds to the protocol. Skylake and earlier processors require a discrete controller chip for the faster protocol, with the 2016 12-inch MacBook still being limited to 5 Gbps with inclusion of USB 3.1 Generation 1. Also included in the seventh generation Kaby Lake processor is integrated support for the 40 Gbps Thunderbolt 3, which uses the same connector as USB 3.1 type C, as well as the ability to use "passive" cabling for 10 Gbps speeds. Thunderbolt 3 has sufficient bandwidth to drive a pair of 4K displays at 60Hz, and contains HDMI 2.0 and DisplayPort 1.2. Also expected in Kaby Lake are also integrated graphics speed improvements. Kaby Lake will have five classes of processors, with two classes for mobile devices and tablets; one for laptops; and two spanning servers, high-power workstations, and desktops. No details are known about performance at this time. Intel's annual Developer Forum (IDF) is scheduled for August 16 in San Francisco, CA, with a wider release of information expected then. Kaby Lake is the seventh generation of the Core family of processors, and the first released after the processor development philosophy shift. It is the third processor using the 14nm process, developed first for the fifth generation Broadwell. The only Apple laptop computer with the sixth generation Skylake processor is the 2016 12-inch MacBook. The Mid 2015 15-inch Retina MacBook Pro uses the fourth generation Haswell processor. The late 2015 iMac has Skylake desktop-class processors. It's now Process, Architecture, Optimization. Broadwell was the process, Skylake the architecture, Kaby Lake the optimization. I'm thought for a few months now that Apple was going to largely skip Skylake in favor of Kaby Lake to get TB3 built in with 3.1.. The rumors around the Thunderbolt 3 Apple monitor with built in Video card just reinforced it.. I just think the leaks on the new monitor made people jump the gun, assuming it would be released with WWDC.. That was wistful thinking.. It makes a boat load of sense that Apple release this new Thunderbolt 3 monitor with the systems that can use it this fall. We'll see Kaby Lake Macbook Pro's and likely the rumored GPU based Thunderbolt monitor this fall..
My only question is what kind of GPU will Apple use? Mobile? probably. 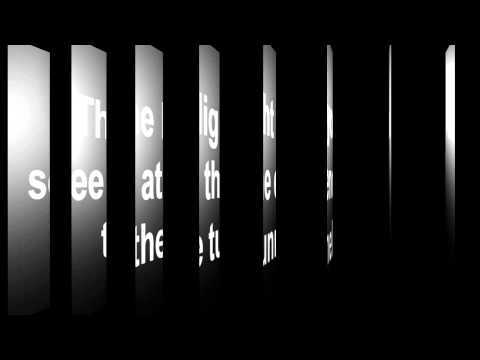 High End mobile that has a chance to work with VR? hmmm. maybe? but probably not this first round..
That said.. if Apple DOES release a GPU based Thunderbolt 3 Monitor; I'm betting NO Macbook Pro's will have a discreet GPU.. None.. They will go all-in and if you want discreet GPU, you'll need a TB3 Apple Monitor. However, I don't think it would be long before we'd see 3rd party GPU based monitors with UPGRADABLE GPU slots.. and a new GPU form factor will be born! Mark my words.. this is just the beginning .. I wish apple would go with Nvidia instead of AMD. Possibly the most disappointing PC hardware maker (gpu and cpu) of 2016. If the Thunderbolt Display comes with it, I won't even bother. Alienware, dell, and hp will implement Kaby Lake way before apple. "however the first run of chips are not likely destined for Apple's MacBook Pro." And here's me wondering still when will we EVER get a new set of MacBook Pros. I just wish Apple would update with something. I'm need a new MBP and they just don't seem to be interested is releasing anything. I'm starting to feel the MBP is getting the same cold shoulder as the MacPro did. Sure, maybe Intel is slowing them down, but surely you can refresh the line until your killer chipset is ready, I can't bring myself to buy a 4th gen CPU, and all the other components and body style are showing their age too. Apple should release brand new Macs and Thunderbolt display 4K 24-inch with Intel Kaby Lake, including standard ports in all devices like Thunderbolt 3 and USB 3.1 Type-C reversible generation 2, as well as SDXC with extra pins supporting maximum read/write speed (300 MB/s). Sent my feedback too, thanks. Should Apple implement a borderless screen design, they could offer a near 17" display with basically the same footprint as the current 15" rMBP. Honestly, there's little need for a design overhaul other than that, plus updated ports, and maybe a Space Grey chassis. The delay has been ludicrous, even their own employees agree to the dreadfully long wait. Chips for the MacBook Pro, Air, Mac mini, and Mac Pro have been available for a long time now, and Apple have had ample time to produce updated machines. You can't say it's all Intel's fault that the Mac Pro hasn't been updated for over 3 years or the MacBook Pro for over a year and a half. At least they could bring the prices down to retain some semblance of value. What's worrying me is their collective attempt to put iPad Pro forward as a competent Pro workstation replacement (particularly during their iPhone SE keynote) -sorry Tim, but it's not. The machine is due for a refresh, the design however is just fine, albeit too thin. For a pro laptop it should be possible to equip it with e.g. one of these Samsung 4TB SSD drives which have 2.5" drive 7.5mm height form factor, and currently it stops with 1TB which is just not enough. For office work a MacBook or MBA is sufficient, but for working with photos and video 1TB mass storage isn't sufficient, and the whole point of a "lap top" is gone once you need external drives that tie you to a regular working surface of sufficient size. So the design isn't old, it's if anything too new, because pro-level storage doesn't fit in this form factor. The last thing we need is a new (and with Apple that means even thinner) case design. Wish we could get the old 15" designs with new guts, you could fit two 4TB SSDs in those (one by replacing the DVD drive) for a total of 8TB. I know people with similar setups and they are looking into Hackintosh solutions because Apple's consumer and design oriented approach just isn't useful for professionals, regardless of how "pro" they name the computer. Even the MacPro is a failure in that regard: it's quiet, fast, etc. but due to lack of storage, all these points are lost because you end up with a howling external storage solution next to it, unless you can afford Coring fiber optic Thunderbolt cables going to a machine room housing a storage cabinet, but at that point the internal SSD is relegated to being a boot and swap drive, and you're dealing with OS X' abysmal handling of user home directories on anything but the boot volume. The iMac should be discontinued. In it's stead there should be a 4 or 5k CinemaDisplay with a docking mount into which a new, flatter MacMini snaps. That way iMac has an upgradable processing module, macMini has space (in the monitor) for decent GPU, additional storage, etc. Apple can reduce the product lineup thus freeing up space for higher end macMini configurations, less stuff goes to waste because the monitor can be reused when the CPU module is upgraded 18-24 months down the road. If the docking port is driven by a XILINX FPGA, then it's easy to reconfigure the pin layout to accommodate changes in future CPU platforms or interfaces by means of firmware updates. If Apple were serious about being green, they would switch to modular desktop computers ASAP. About time Intel has Kaby Lake ready! That's good news really.. it means Apple will finally release some new Macs... or at least we can see the light at the end of the tunnel. Body style showing age?? How would you improve on it? Do you just want change for the sake of change? That's NEVER good for any consumer or product. Changing the package design is only good for marketing people and stock prices. The first Kaby Lake chips that Intel brings out will be suitable for ultraportables, not MBPs, iMacs etc. Those won't be available until 2017. Given that the Macbook was refreshed in April, I wouldn't expect another update until late 2016 or early 2017 but iMacs and MBPs will use Skylake. The Mac Pro will use Broadwell. Neither AMD nor NVidia have released any mobile GPUs yet. They are supposed to arrive Q3 (July-September). That one is around double the M370x with 4GB GDDR5. iMac will likely get the M490, M495x. The M495x would perform like the latest NVidia 1060, just above an old 980. It wouldn't be two of those as that's a dual GPU on a single board but it would one of them split in two and when both are used together, it can go up to 14TFLOPs vs 7TFLOPs in the current one and it can use 1TB/s HBM memory. CPUs up to 18-core, 12-core price point would lower and they might be able to do 6-core at the entry level. The enthusiast market will be the highest unit volume for the Mac Pro, if they had a 6-8 core Xeon with a dual NVidia 1080 (18 TFLOPs) for around $3-4k, that would probably sell better. 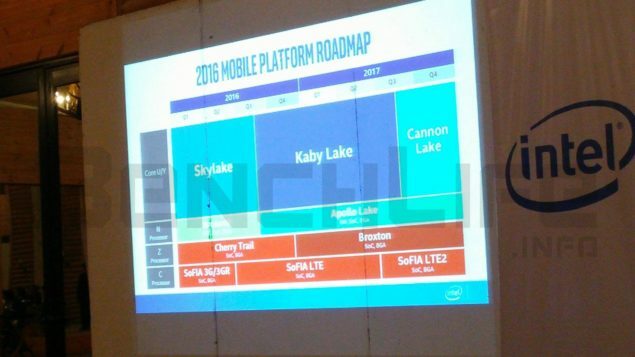 We will probably get sky lake macs finally.